Great Addington is a village of just over 100 dwellings in the District of East Northamptonshire. It sits above the flood plain of the river Nene, which with its tributaries has shaped the surrounding agricultural land. The village is 6 miles East of Kettering, 8 miles north-East of Wellingborough and 4 miles South-West of the District Council’s seat in Thrapston. All routes through the village are subject to a maximum vehicle weight limit of 7.5 tonnes unladen weight. There is easy access to Junction 11 of the A14 trunk road which runs approximately 2 miles North of the village. The 2016 Electoral Roll lists just over 250 electors. The village lies within the Corby Parliamentary Constituency. Great Addington, Little Addington and Woodford together form the Woodford Ward of East Northants District Council. The Parish Council consists of a maximum of 7 members with a part time Clerk. 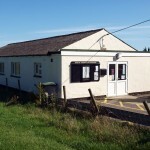 Parish Council meetings are normally held in the Memorial Hall at 7.45pm on the third Wednesday of each month. 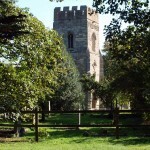 The centre of the village is dominated by the sole place of worship, the Parish Church, dedicated to All Saints. The 14th Century tower and 12th Century South Porch are notable external features. 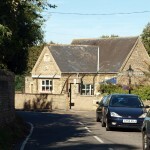 Nearby, across a narrow street, with poor on street parking facilities are the C of E Primary School and the Memorial Hall (Built in memory of villagers who gave their lives in the 2nd World War). In 1980 the Parish Council, together with the Little Addington Parish Council established a Charitable Association to manage and develop a Playing Field situated at the boundary of the two villages. The Nene valley has been continuously inhabited since neolithic times. Just outside the Parish boundary there are, to the South evidence of a Roman building and to the North 3 pre-historic barrows. Within the Parish there is a Saxon burial ground. 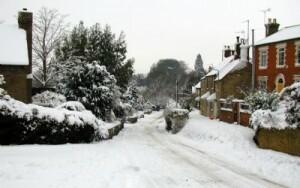 The village is served by “The Hare and Hounds” public house. Great Addington no longer has a Post Office. The nearest PO’s are at Woodford and Ringstead, some 2 miles distant.